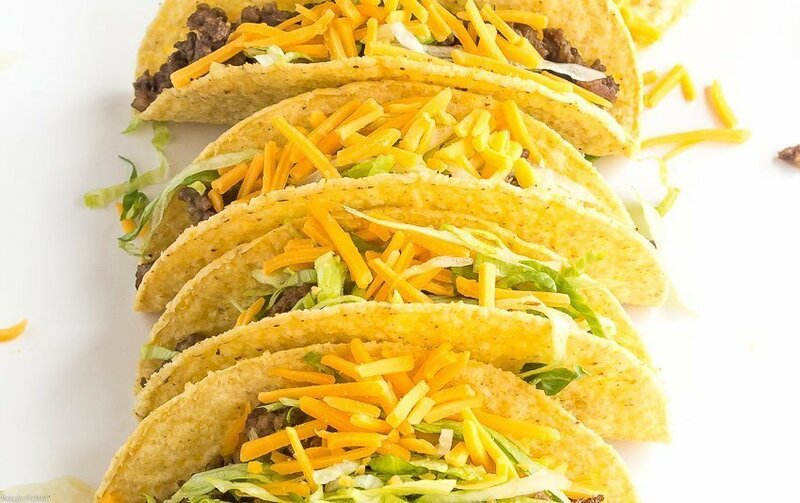 It’s not Cinco de Mayo without a ton of tacos. 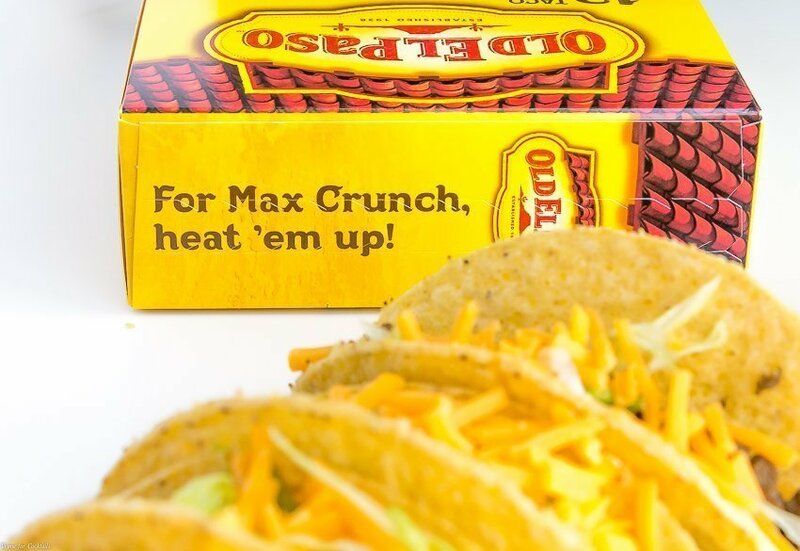 Do you know any tricks for making crowd-pleasing tacos? 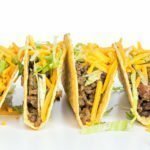 Check out these 5 tips for great Ground Beef Tacos and learn my how-to’s just in time for Cinco de Mayo! We didn’t celebrate Cinco de Mayo when I was growing up in the midwest, in fact my idea of Mexican food was a regional taco chain. It wasn’t as basic as the guys you see on every street corner with a drive-thru these days, but looking back, it’s not what you would call fine dining either. 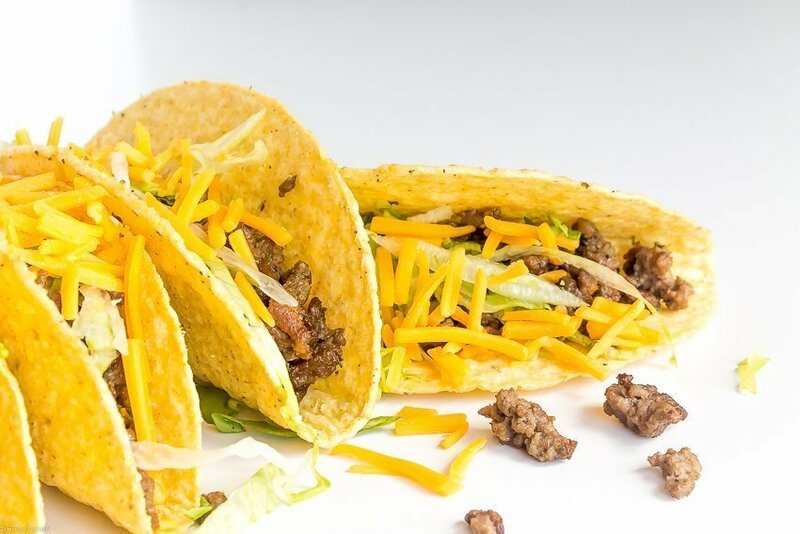 When the family wanted tacos, which was at least once a week, Mom had her staple of ground beef, a packet of seasoning mix, grated cheese, and iceberg lettuce. 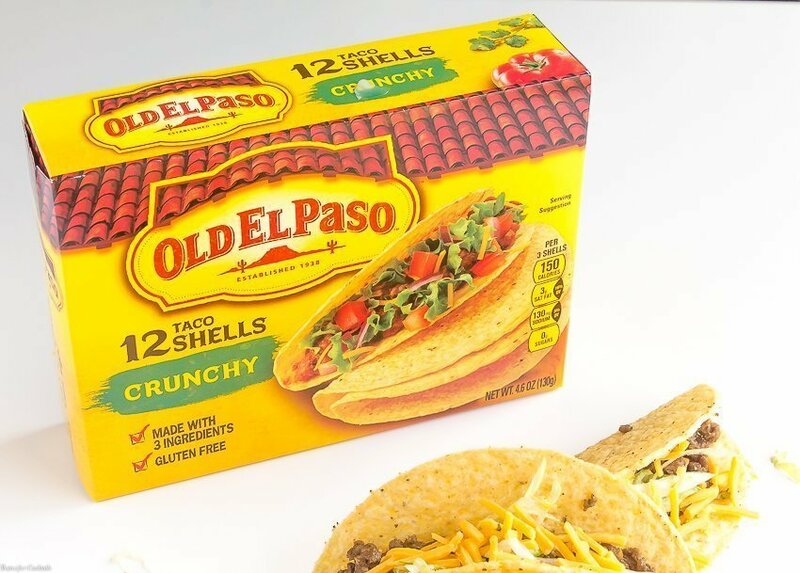 And the shells were ALWAYS Old El Paso crunchy taco shells. That was my idea of tacos as a kid. Then I grew up and married a second-generation Mexican American. Now I repurpose leftovers into recipes like Turkey Pozole Rojo and create my own version of Albondigas Soup. Now it’s a given that we will observe Cinco de Mayo and all the tasty treats that go along with it. I mean come on, it’s not just about the food. It’s the people, the meaning behind the holiday, and of course the cocktails! This year we are taking it back to the basics, because a classic Ground Beef Tacos will always be in my heart of hearts. 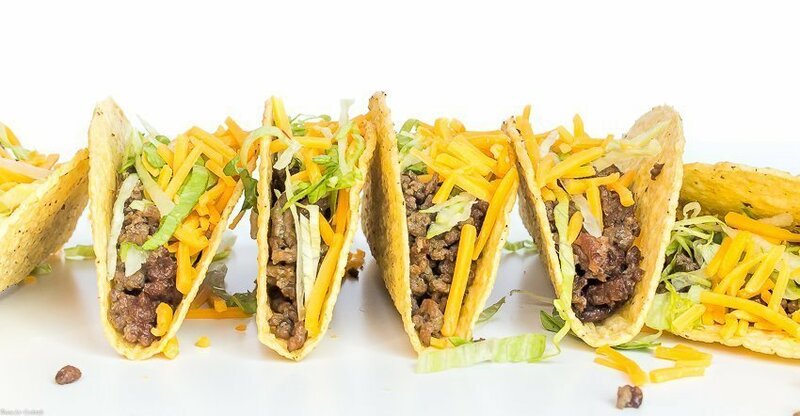 I don’t care how old you are, everyone loves a great tasting taco and these tips are sure to help you get the most of your Cinco de Mayo eats. One thing I have learned over the years is that while pre-mixed spices are great in a pinch, there is nothing like a good homemade taco spice mix. I usually wing it when I cook, but in the interest of sharing, be sure to scroll down and grab my pantry staple mix. I use it in tacos, toss a dash in pinto beans, and sprinkle over chicken in the slow cooker. It is not too spicy, with a healthy dash of smoky cumin and Mexican oregano. Regular oregano is a decent substitute, but if you can score the real deal… do it! Here is a complete shocker for you. I don’t add salt to my taco meat. You won’t find it in my seasoning mix, or anywhere else. There is a really good reason why too. This is where I get to go on and on about my love of all things beef bouillon, or any bouillon for that matter. It wasn’t until Paul and I were married that I realized the genius of this ingredient. His tia swore by it in many recipes. It is salty, beefy, and the ‘secret’ ingredient in my ground beef tacos. Like with salt, start with a little, and add as much as needed for your desired taste. 1 teaspoon per pound of meat is a good starting point. You know the ground beef drill folks. Get your skillet screaming hot, toss in the beef, break it up, then don’t touch it until it’s nice and brown. Sometime after that you stir in a few seasonings, then *BOOM* you have taco meat. Sure the meat is the substance in this meal, but we just took the time to make our own spice mix. So why not follow through with the full treatment? Add your spices to a hot skillet and let them bloom for about a minute. Then add your meat, and proceed from there. I also like to break up the meat before I adding it to the skillet. Personal preference I guess. This is the part that really takes me back. Paul and I have always been, and will always be on different sides of the tortilla fence. He likes corn, I prefer flour tortillas. 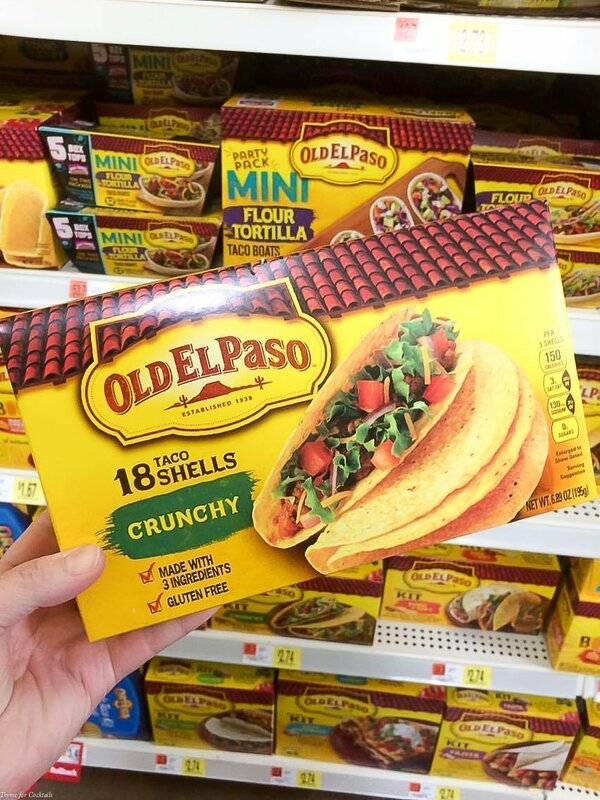 The one thing we DO agree on though is when it comes to crunchy taco shells, Old El Paso is the ONLY way to go! I love that they are made with only 3 ingredients. Corn, palm oil, and salt. That’s it folks. There are no funky additives, and no extras that make you go…hmmmmm. If you are going to spend the time making delicious fillings for your Cinco de Mayo feast, why put them in sketchy tasting shells? 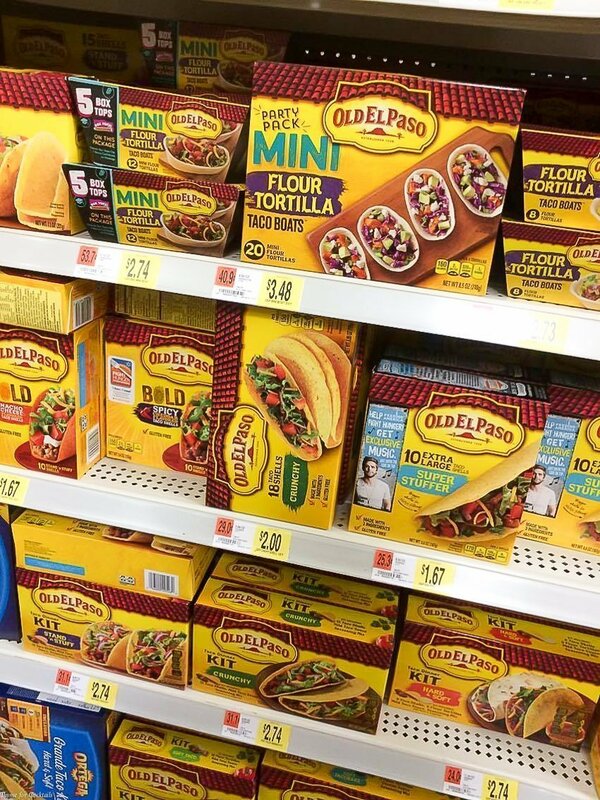 Today we are talking about Ground Beef Tacos, but Old El Paso as an entire line of tortillas, shells, and taco boats for your upcoming fiesta. If you spend any amount of time here on the blog, you know how much we love tacos of all kinds. I always joke around that Paul will eat anything if I put it in a taco. Basically we eat A LOT of tacos folks. This tip isn’t about WHAT you are putting on your tacos, it is more about the how. Or more accurately, how much. 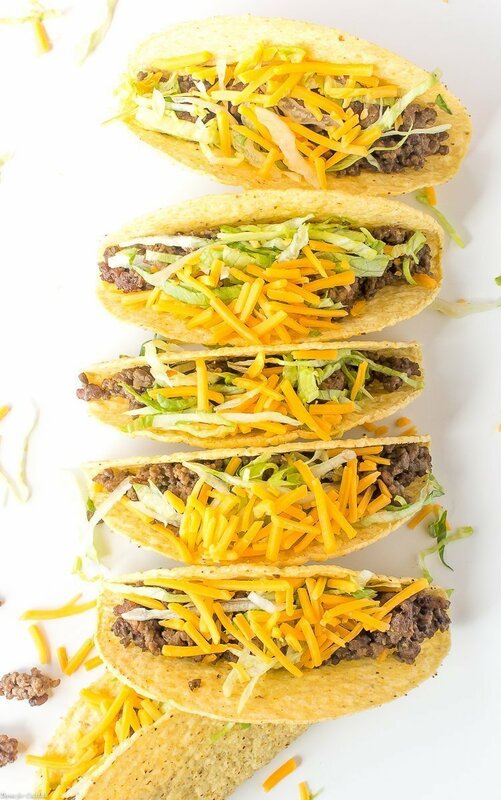 Have you ever bitten into a taco, only to wonder when the never ending toppings were finally going to give way to the meaty filling you just know is under all those veggies? We just spent all this time making a great filling for our Ground Beef Tacos, please don’t cover it up with too much stuff. This year our Cinco de Mayo fiesta is multi-generational, and I know we are going to go through several dozen tacos. 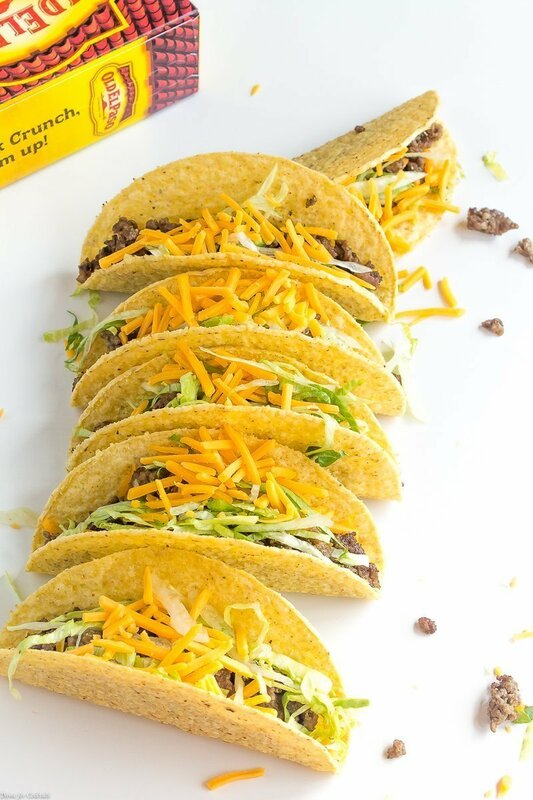 What delicious recipe are you making with Old El Paso tacos shells? This seasoning is great for great meat tacos, as an extra punch in pinto beans, or sprinkled over chicken in the slow cooker for sandwiches. Mix all ingredients together in a lidded jar. Shake to combine. Store closed in a dark, cook place for up to one month. Recipe is easily doubled or tripled. Adjust seasonings to taste.